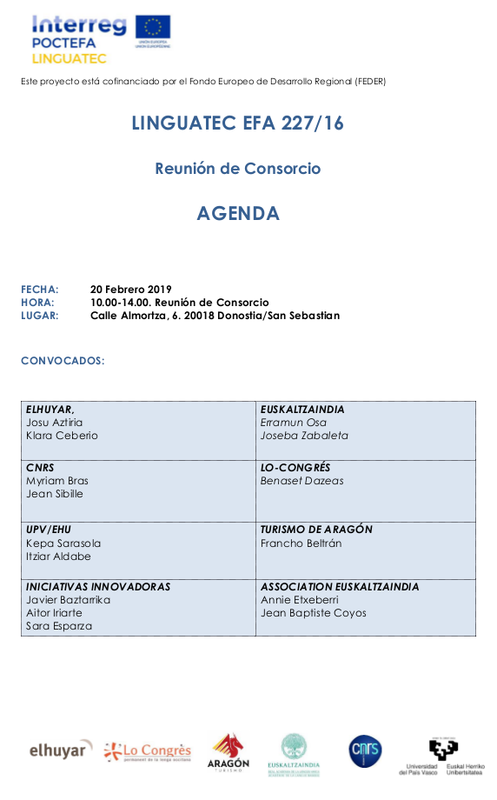 Meeting of LINGUATEC project in Donostia (2019-02-21) « Ixa Group. Language Technology. LINGUATEC project: Development of cross-border cooperation and knowledge transfer in language technologies. 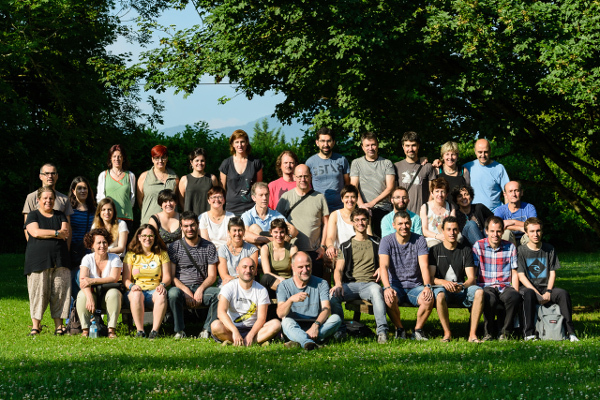 The main objective in Linguatec is to develop, test and disseminate new innovative linguistic resources, tools and solutions for a better digitalization level of the Aragonian, Basque and Occitan languages. As a result, we will obtain, among others, (1) a road map of Aragonian Digitalization, (2) new monolingual and bilingual lexicons and morphosyntactic and syntactic analysers for Occitan, (3) a Northern Basque speech recognition system and several linguistic tools as well as (4) new innovative solutions for Aragonian, Basque and Occitan. These cross-border cooperation will allow the transfer of knowledge and to develop linguistic solutions with a potential market uptake, benefiting language professionals, easing access to multilingual contents, and fostering the development of a cross-border language tech cluster. After one year work, last Wednesday we had a project meeting in Donostia organized by Euskaltzaindia. Ixa Group presented the progress in the creation of an improved Neuronal Machine Translation system for the pair Spanish-Basque.